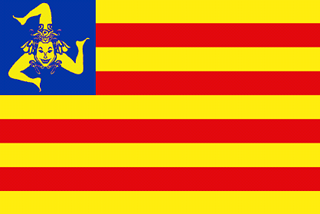 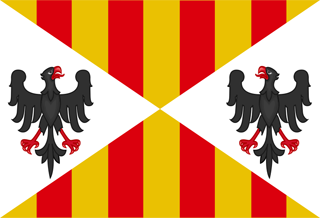 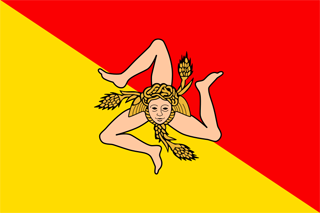 The flag of Sicily was officially adopted on January 4, 2000, and is bisected diagonally into sections of red and yellow (red for Palermo, and yellow for the medieval agricultural city of Corleone). 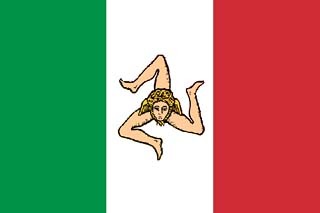 A triskelion is displayed in the center of the flag. 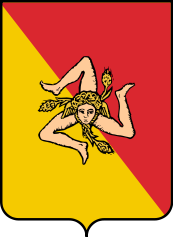 Sicily's coat of arms is an adaptation of the flag displayed on a shield.